Driver’s License Suspended For An Unpaid Judgment From An Accident? by John G. Merna Having your driving privileges suspended due to a judgment from a car accident where you did not have car insurance is a reality in Virginia. The Virginia Code, Sec. 46.2-417, provides that a license may be “[suspended] for failure to satisfy motor vehicle accident judgment”. Wow. An accident with no car insurance can land you without a license. It can rob you of your ability to drive to work; to the grocery store to buy food; to daycare or school to pick your sick child; to your relatives to care for a sick parent or grandparent; to drive anywhere, no matter how important or urgent it is. Also, if you get pulled over driving on a suspended license, you risk jail time. So no insurance and you get into an accident, you risk losing your license. Drive while your license is suspended, your risk going to jail. It gets worse than that. They also can suspend your vehicle registration and plates. This means no one can use the car. Bottom line- If you’ve had your license suspended due to an unpaid judgment from an accident you need to call The Merna Law Group to fix it. 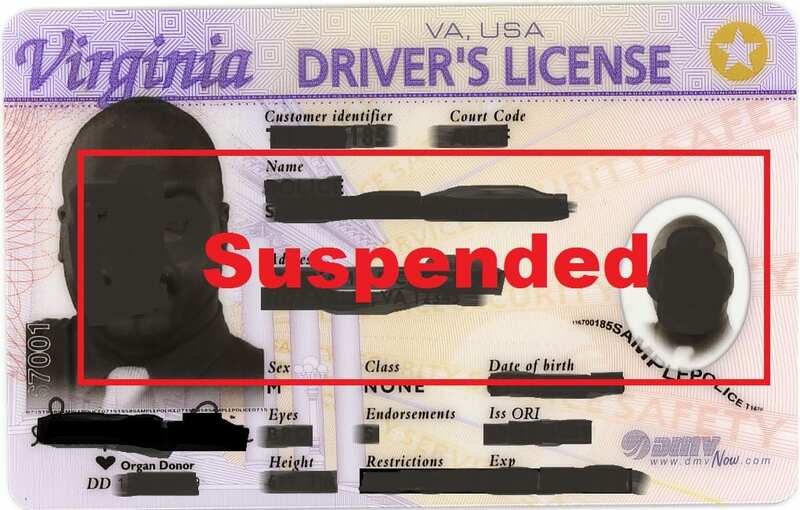 In Virginia, reinstating a license after a suspension due to an unpaid accident judgment can be done three ways. The first and most painful – pay the judgment. The second and almost as painful – pay a large portion towards the judgment ($20,000 to $25,o0o depending on whether it was for bodily injury or property damage). The third and the fastest, cheapest, and easiest – file bankruptcy. Do You Have To Wait Until The Bankruptcy Is Over To Get Your License Back? Not usually. Va code 46.2-419 states the judgment is satisfied when the debt is discharged. The discharge is given when the case is completed. However, barring other issues that may affect reinstating your license, the DMV has always, in my experience, will reinstate the license upon proof of filing. How Do Your Reinstate Your License Once You File Bankruptcy? As I said, after you have filed bankruptcy through a competent and highly-regarded firm like The Merna Law Group, you will have to take the Notice of Commencement of Bankruptcy to the DMV. The DMV will require an SR22 or proof of vehicle insurance. You will also have to pay a statutory fine, which last I checked was about $500. The obvious lesson here is having car insurance can save you a lot of stress and a possible bankruptcy. However, if you get into or are in a situation like this give us a call. We can fix it and get you back on the road quickly. I hope this article answered some of your questions. As always, it is not intended to be legal advise or to assist those considering self-help. Bankruptcy and a license suspension are serious matters. Making the mistake of not getting them taken care of by a professional can cost you more in the long run in attorney fees, hampered ability to rebuild your credit, or denial of the bankruptcy or reinstatement of your license. Use a bankruptcy professional. Call Merna Law Today! 800-662-8813. If you found this informative, please Google+1 the page at the top so others may find it easier. Thank you so much for your support.